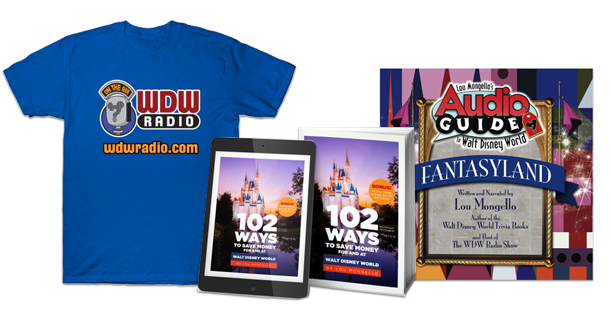 Hello and welcome to The WDW Radio Show – Your Walt Disney World Information Station. I am your host, Lou Mongello, and this is show #173 for the week of June 6, 2010. 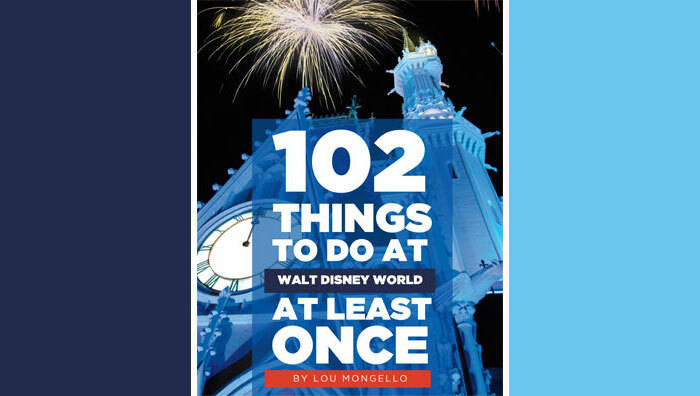 Recently I was joined by numerous listeners both in person and online â€œin the boxâ€ as we broadcast live from Walt Disney World for more than 24 continuous hours over the May 22nd weekend. During that time, we toured the resort, visited Star Wars Weekends, held a private dessert party, and so much more. Join us as we recap the fun and events and announce the winners of our live contest in this weekâ€™s roundtable. Whether you were there for some or all of the event, or think you may want to join us for a future broadcast, itâ€™s a fun look back on a memorable weekend. Facebook Event Page or Post in the WDWRadio Forums – Let us know you’re coming! My favorite part of this week’s show is when Steve gets philosophical about the composition and consumption of a cupcake. Lou, it was a thrill to be with you for most of those 24 hours. I’m also very excited to hear the box raised about $700 for the Dream Team!!! Thanks so much and can’t wait for next time. Who knows, maybe I’ll get out of the box again! Hi in the podcast you said that we can see your footage from the show, where is it? I wasnt fortunate enough to see it and i really would love to. First, sorry to see you up as late as I am; but I think we’re alike in that. Second, really enjoyed the parts of the 24hr show that I was able to be present. Third, viewing your last few hours of the 24hr show (hysterical, by the way) is helping me to stay awake and get my work done (outside of this email of course). Fourth, I agree with Jonathan that the philosophical (and ethical, by the way, nod to Beci) discussion of the Carrot Cake Cookie vs. Butterfinger Cupcake was one of the recap show highlights. I could see a WDWRadio Food Challenge at each (or select) Meet and Greets. BTW, I still plan to take the cookie vs. cake challenge when I’m down there. It will be hard since I happen to love food. Fifth, LOL, do you realize that you said “coffee” six times in a row at the Cape May Cafe on your way to the table. More LOL. Or was that Beaches and Cream??? Yet more LOL. Sixth, when you run out of all other topics, I can see a DSI – The Power Outlets of Walt Disney World. If respectable people like Ryan Wilson can do toilet rooms, certainly power outlets are not far behind. Seventh, still angling for one of your Meet and Greets for Sunday, December 5th, since it now looks like that is the only weekend day we will be down at the World. Eighth, the lovely JL convinced me to be counted as well(I’m now NDD #126). Ninth and last (yes, finally), really and truly appreciate the work you do to give us a great show, especially for those us who are usually, not by desire but necessity, stuck in the box. Take care and have a wonderful Wednesday. Rats! I had registered with ustream a few days before the marathon live broadcast weekend but got busy and completely forgot to watch! I did wonder what exactly you would be doing all night long – now I know. Thanks for the podcast to explain it all….and to make me kick myself for forgetting. I won’t do that again! THANK YOU so much for putting the Butterfinger Cupcake up against the Carrotcake Cookie! I’m going in 2 weeks, and one of the days my wife is in her conference. I wanted to bring back a snack from the Studios and was torn . . . the video convinced me about the cookie, but the blog buzz about the Butterfinger cupcake was loud and loyal. Now I know for sure: the cookie it is! Fun show, and congratulations on the 24 hours! Wish I would have been a WDW Radio Follower at the time this took place. Sorry I missed it. Love the Carrot Cake vs. Butterfinger Cupcake showdown and the Kitchen Sink throwdown. Chuck’s efforts to raise money in the BOX was a nice touch as well. Guess I gotta listen to the Olga story sometime as well… Great podcast!